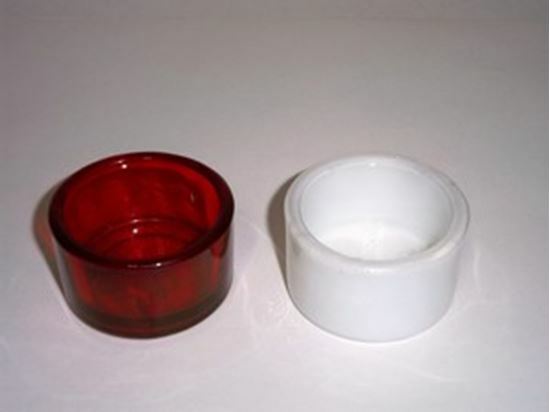 Case of 1 dozen (12) 4 hour glass candle votive holders, made of thick, sturdy glass. Each holder measures approximately 1.25 inches tall and 2 inches in diameter. Use them with either the 4-hour candle votive or the 5-hour tea lights.